The team at Lunenburg Veterinary Hospital is comprised of highly trained and experienced animal health professionals who have a genuine love for working with pets. Our staff treats every patient with the highest quality of medical care as well as a gentle touch. Interests: Dogs, cats, exotics, wildlife, gardening, photography, personal growth, mentoring, networking, helping others. In 1983, Dr. Flinkstrom settled in Lunenburg with wife Teresa and sons AJ and Sean, and opened Lunenburg Veterinary Mobile Facility, making house calls for “All Creatures Great and Small.” In 1988 the practice was moved from the pickup truck and the kitchen table to the current facility. Two more boys and several grandchildren later, the Flinkstrom family is still growing and working together. In his spare time outside of practicing veterinary medicine and keeping up with the latest advances, Dr. Flinkstrom is devoted to his ultimate dream of building and helping others build residual income in some of the hottest industries on the planet, namely telecom, new technologies, energy, and merchant services, which will allow him to expand the practice to a new, larger, state of the art facility where he will one day be able to volunteer his expertise and provide optimal veterinary care regardless of the pet owner’s ability to pay. “Dr. Val” moved to Massachusetts to attend Tufts University School of Veterinary Medicine, and never left. After graduating from Tufts in 1993 and Angell in 1994, she became a staff veterinarian at several animal hospitals and also had her own veterinary relief practice. She was delighted to join the team at Lunenburg Veterinary Hospital as an Associate Veterinarian. Dr. Val enjoys all aspects of veterinary medicine, geriatrics, and exotic pets. 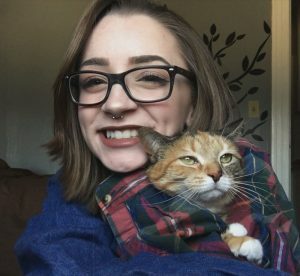 She and her husband Tom share their home with their Sheltie – Wesley; three cats – Willow, Chloe, and Opal; four parrots – Bogey, Henry, Peaches, and Peeps; and four chinchillas – Silver, Scout, Jade, and Rush. In her spare time, Dr. Val enjoys mysteries, crossword puzzles, Classic Country and Rock music, and anything to do with the ocean. Awards, Degrees, etc. : Certified Instructor, Basic Animal Rescue Training (BART) to train first-responders (fire fighters, etc.) in rescuing and stabilizing animals in emergency situations; Certified in Veterinary Homeopathy, by the Academy of Veterinary Homeopathy; Environmental Educator training with the National Audubon Society, Dayton, Ohio; Training expeditions to the Dominican Republic, training Veterinarians and Veterinary students in animal health issues and problem-solving techniques. Dr. Lofton grew up in California, but is proud to call New England her home. She has been in Veterinary practice, working with many species of animals since graduation from Tufts Veterinary School in 1989. For the past 18 years, she has run a solo holistic, integrative, mostly mobile practice based in Rhode Island, but working in adjoining states as well. She holds active Veterinary licenses in MA, RI, CT, NY and CA. Dr. Lofton is excited to join the wonderful team at Lunenburg Veterinary Hospital, and looks forward to meeting with, and helping as many people and their companions (furred, feathered, scaled) as possible! She loves all aspects of Veterinary medicine, with special interest in diseases and conditions of a persistent and chronic nature. Outside of Veterinary medicine, Dr. Lofton shares her farm with many Animals, and particularly loves to have her children come home from college and work for visits and storytelling. She loves adventure travel, gardening, and everything to do with the outdoors, and the study of the wonders of nature. Interests: Dekhockey, gardening, and watching the Bruins and Patriots. Teresa graduated from Leominster High School. She later met and married Dr. Flinkstrom in August of 1984. Teresa is the co-founder and Hospital Administrator of LVH. She has won the Presidential Physical fitness Award. Teresa has four great boys, three daughters-in-law, three grandsons and five granddaughters. She does the bookkeeping and payroll, as well as filling in wherever and whenever needed. She enjoys playing dekhockey, gardening, and watching the Bruins and Patriots. Her favorite time is spent with her grandchildren and family. She has always had animals involved in her life, either wildlife or pets. She says it is very rewarding caring for animals. Education: Alex studied Sound Recording Technology at UML, he owns a sax repair business, and he enjoys helping others generate residual income in new technologies, energy, and merchant services. Alex grew up around animals and started working in our front office at the age of sixteen. He handled the front office of a 15 veterinarian practice in New York City for 2 years before returning to us. Alex and his wife Shawna reside in Westminster with their daughters Alaina, Paige, and Emma! They have a Sun Conure named Sweetie, a Timneh African Grey Parrot named Cutie Pie, and a cat named Momo. Interests: Art, antique restoration, writing, reading, yard sales, and trivia. Mark worked for 20 years at a small Co-operative Bank, starting as a teller and working up to President. He then worked as a Teacher’s Aide for the Shirley, MA school system, and more recently at a sales and marketing firm in Marlborough, MA. In his spare time, Mark likes to restore trunks, furniture, artwork, and ceramics; he also enjoys drawing, painting, reading, and trivia. Mark lives in Shirley with his wife, Karen and son, Nathan. He is the proud parent of Navarro, a tuxedo cat, as well as grandfather to his daughter’s 4 cats, Ruxin, Loki, Bruce Wayne, and Spike, and her Catahoula Leopard dog, Violet. Interests: Downhill mountain biking, camping, hiking, spending time with her pets, family, and in the great outdoors. 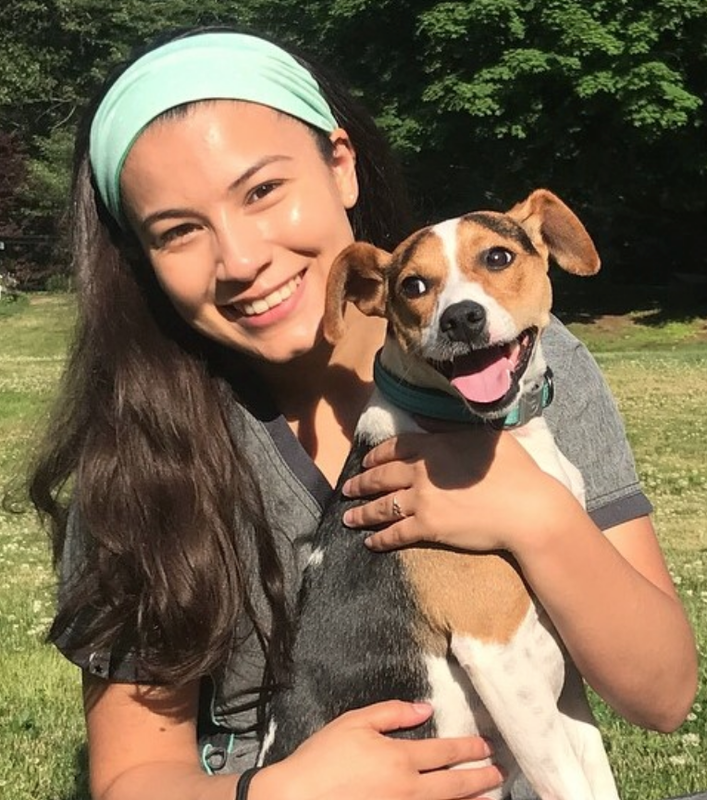 Alyssa attended Holyoke Community College, majoring in Biology and Animal Science, while interning at Tender Heart Veterinary Care in Gardner. During High School she was an intern at Veterinary Ophthalmology of New England. She is certified in artificial insemination for farm animals. Alyssa has two cats “Opal” and “Onyx,” as well as a Maltese-Westie mix dog named Julie. She has worked at the Gardner Ale House since it opened. In her spare time Alyssa enjoys downhill mountain bike racing, camping, and hiking. She loves spending time with her family, pets, and in the great outdoors. Interests: Horses, dogs, cats, sci-fi, action, and horror movies. Iris has been a client of LVH for more than 30 years because, as she says, “When you meet someone who knows their stuff, you stick with them.” She has now been working for Dr. Flinkstrom for more than four years. She has seen that his compassion and knowledge are second to none, and would bring her pets nowhere else. 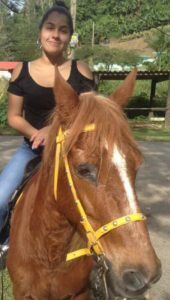 Iris has raised, trained, and showed horses of many breeds, has bred, trained, and showed German Shepherd dogs, and trained and showed her Belgian Malinois. She loves all animals, with a special attachment to horses, dogs, and cats, and has been married to her husband Jim, since 1979. (Jim was the toughest to train.) In her spare time, when she’s not watching Action, Sci-fi, or Horror movies, she loves spending time at the stable with Rollie, who is Iris’s newest family member – a Belgian Draft quarter-horse cross. When Meghan is not at LVH, she is cashiering at Lowe’s in Hudson. Meghan enjoys hiking, fishing, and spending time with her family, friends, and pets. Meghan has six cats: Diesel, Felix, Toby, CeCe, Honey, and Boots. She also has two dogs – Bailey and Maggie, a rabbit named Luna, and a mouse named Mickey! Misha spent time here at LVH a few years ago as an intern, and ultimately was inspired by Dr. Flinkstrom to apply to Veterinary School. That particular plan did not work out, but he is back in Lunenburg to keep learning and trying new things. Misha enjoys the outdoors quite a lot, and being the avid woodsman that he is, ends up oft lost in the woods. He has one German Shepherd as well as a Pitbull. A fun fact about Misha is that he’s been to 6 of the 7 continents, and has plans to conquer the 7th in the next few years. 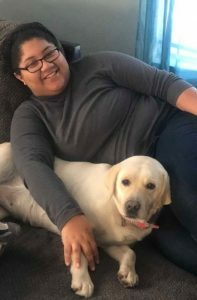 Vanessa plans to go to Veterinary school after graduating from UMass, has a dog named Murphy, and works at Kimball Farm. She is a teaching assistant for a poultry course, is an animal caretaker at a finch research lab at school, and also works on a farm in Hadley. Vanessa loves ice cream, spending time with family and friends, going to the movies – especially MARVEL movies, and going to the beach. Emily was the Gardner High Class of 2017 President, and also Percussion Captain of the GHS Band. She has worked as an animal care technician at GACC. She performs in musicals, plays ukulele, piano, drums, and marimba. Emily has 2 cats, and has had a lot of pets like tarantulas, eels, and a sun conure. Emily has two sisters, and enjoys going to music festivals and travelling. Some day in the future she would like to train dogs. Mary went to college for large-scale ceramics and photography, and has since worked at primary care, emergency care, and shelter medicine with animals. She missed working close with owners and their animals, so she found her way back to primary care. 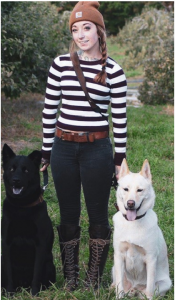 In her spare time, Mary hikes with her dogs Loki and Odin, and enjoys dog photography. She shares her home with 5 cats as well. Mary is interested in learning more about dog training and behavior. Khia has a yellow Lab named Harmony, a cat named Bubbles, and three siblings to keep her busy. Her goal is to attend Veterinary School, and she is interested in exotic pets. Khia moved here from Orlando, FL, and has been CVA certified since she was 15. She and her co-worker, Francheska are best friends. Khia is Fran’s best friend. Fran has a two-year old son, and has loved animals ever since she was young. She has always wanted to work with animals, and after High School, plans on studying at MWCC to become a Veterinary Technician.